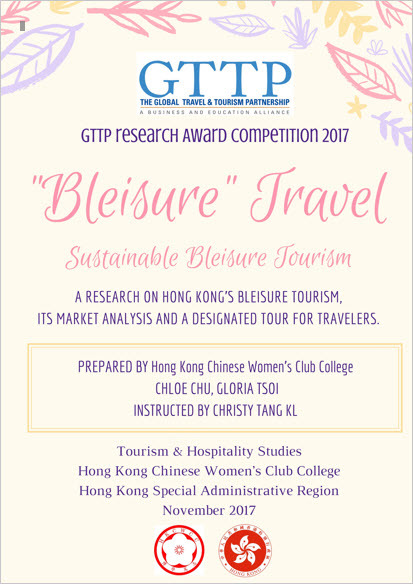 2017 Winning Case Studies on Sustainable Bleisure Travel. 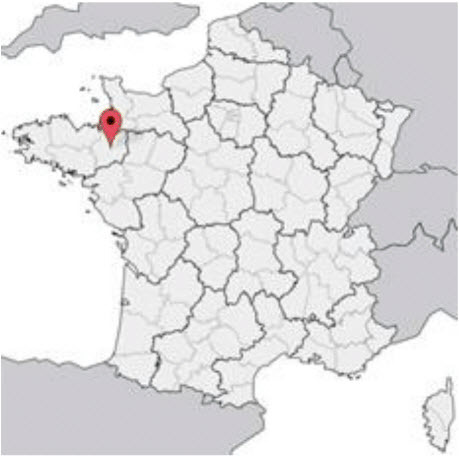 Rennes is the capital of Brittany in France’s Celtic West, an important university town known for culture and food, and for its telecommunications and high tech businesses. It is the country’s fourth most popular tourist destination. 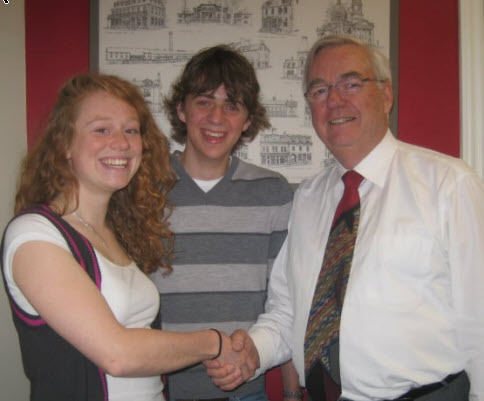 The students report they had no idea what “bleisure” was so they started to educate themselves by interviewing businesses whose employees go on business trips, groups involved in tourism promotion, and to organizations that serve bleisure visitors. The result is a guide to the whole bleisure concept, starting with employers, who see bleisure as a benefit for employees but they also worry. For example, what about the employees who do not travel and therefore do not have the opportunity to take a mini-vacation in interesting places? And what about employees who travel on company business, then stay for a private vacation and get injured or even killed? It has happened. In those cases, what is the responsibility of the employer? 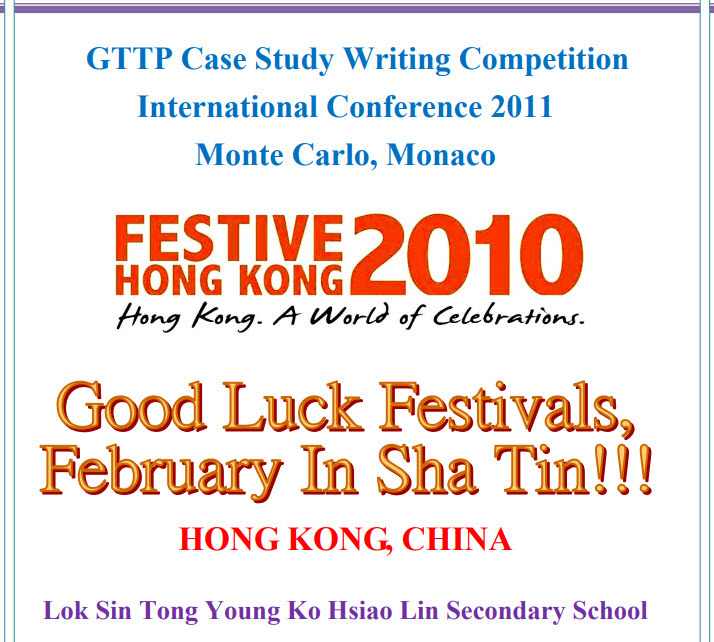 The students have created a comprehensive 60-page guide to Hong Kong Bleisure Tourism that includes: an overview; summaries of industry literature; an analysis of the Hong Kong market and trends; a Strengths-Weaknesses-Opportunities-Threats analysis; a description of the methodology used by the students, and a usable 13-page guide and itinerary, complete with a suggested timetable. Bleisure is big in HK and getting bigger. In 2017 the number of visitors from Europe, Africa and the Middle East attending events such as meetings, conferences and trade exhibitions grew by more than a third. Half the world lives within a 5-hour plane ride from HK. Both government and the private sector support efforts to increase bleisure visits. There is work to be done, because competition for the bleisure traveler is “fierce worldwide,” report the students. You can download the Teachers Notes here. 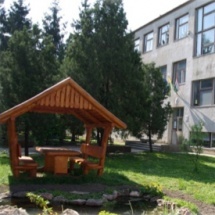 Sarvar is home to the two students and also home to a modern Spa and Wellness Center which taps into a natural water supply that has a high concentration of hydrogen carbonate, which offers various benefits. The complex has pools designed to offer the benefits of the local water. Other pools include one with a slide, one for diving, a pool with waves, and pools for children. The complex offers a medical care section, a wellness and fitness section, and relaxation rooms. It is now counted as one of the region’s 18 most successful spa towns. Who goes there? Mostly they are middle-aged and older guests, meaning that the Center also needs to attract more younger guests. The students researched competing spas and the services they offer. They determined that young male and female business travelers could be attracted to adding some bleisure time to their trips if the Center expanded the professional wellness, fitness and beauty massage services offered. The students then took their research a step further and created marketing materials that the Sarvar complex could use. Teaching notes are available here. Why does this Case Study have an image of a lion on its cover? Because the state of Gujurat, where the city of Vadodora is located, is home of the world’s last Asian lions. The students believe that the city, formerly known as Baroda, has great potential as a bleisure destination. They note that the area’s plastics, petrochemical, medical and engineering companies have many business visitors. They point to the many cultural attractions of the city, which benefitted from the encouragement of the Gaekwad royal family of Vadadora, one of the most important princely families of India. Family members still live in its Laxmi Vilas Palace, which is open to the public. The palace is set in 600 acres and has its own golf course. The students believe that making the golf course available to bleisure visitors would add to the city’s attraction as a destination. Many of the other city and area attractions recommended by the students include: Sayaji Baug, a public garden that is also home to the Baroda Museum and Art Gallery and the Sukhadev Rajyaguru/Saradar Patel Planetarium; the E.M.E.Temple/School’; the Inorbit Mall, and the KhandeRao Market. 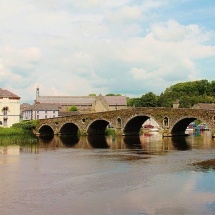 The two students, assisted by 11 other fellow students, start off by offering readers a 25-page illustrated guide to the things makes their hometown, Tralee, and surrounding County Kerry, so attractive to visitors. They are enough to motivate one million people a year to visit, or about seven times the total population of the county. The students present the results of a survey they created for a very specific group: 13 Tralee hotel managers. The survey had two main purposes. The first was to establish a profile of the business travelers visiting the area and what they did for fun once they arrived. The second was to establish what the hotels were doing to cater to bleisure travelers, and to attract more of them. Some of the managers were not familiar with the jargon term “bleisure” but nevertheless they already take steps to attract bleisure travelers by offering them discounted rates, while others shape their marketing programs to attract that market. 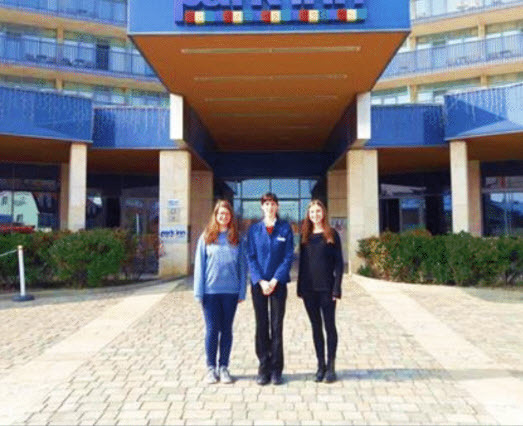 Based on their survey, the students offer marketing recommendations to help the hotels attract more bleisure visitors, which the hotels want to do. The students note that they have no experience in the hotel industry so their ideas might not fit the overall needs of a particular hotel, and they also analyze how their survey could be improved. 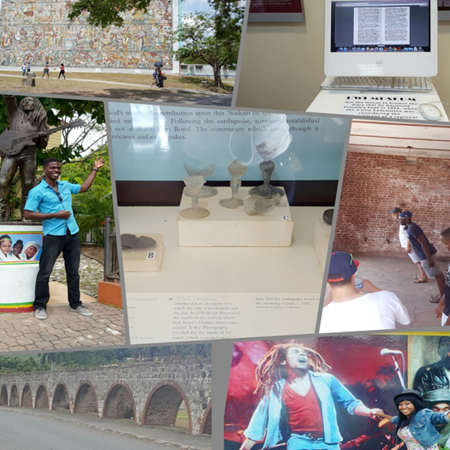 Kingston, the island’s capital, is also the island’s principal business and cultural center. The students focus on three locations to demonstrate what Kingston offers the business traveler who decides to stay on for a few extra days. The first is the Jamaica Conference Center, which offers attendees easy access to the Kingston Craft Market and the National Gallery. A short taxi ride away is the Bob Marley Museum, dedicated to the Jamaican reggae singer, and also the Rockfort Mineral Baths. The second location is also a short taxi ride away: Devon House, built in the grand style in 1881. 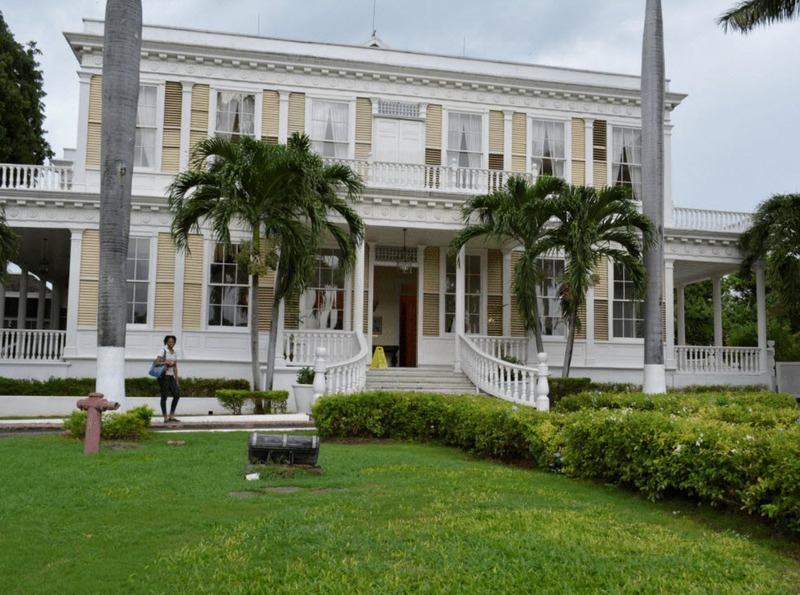 It combines the island’s first Gastronomy Center and a museum dedicated to the house’s heritage. Devon also offers a variety of event spaces for meetings, corporate events and small gatherings. Its 11 acres of gardens offer food options ranging from ice cream to chocolates. On Kingston’s doorstep is a UNESCO World Heritage Site, the Blue and John Crow Mountains, and the Holywell National Recreational Park (pronounced “Hollywell”), a 330-acre park with amenities for visitors. The Jamaica Conservation and Development Trust offers trail tours starting from Holywell that include birdwatching tours and hikes of varying length to coffee farms and local communities. The students used questionnaires and interviews to arrive at their assessments and recommendations. Access the Lesson Plan here. The students report that Kenya is poised to capitalize on the number of business travelers who wish to extend their trips so they can enjoy the places they visit. The focus of their research is on two kinds of business traveler identified by the travel management firm Amadeus in a 2014 report: “The Reward Traveler” and “The Gadget Nomad.” The Reward Traveler places a high priority on accumulating loyalty points to earn rewards. 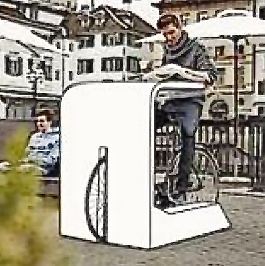 The Gadget Nomad relies heavily on technology tools such as smart phones and tablets. In Kitale, their hometown, the students visited the offices of Telkom Kenya, a major national telecommunications provider; ATS Travel, a specialist in air travel tickets; Fly 540, an airline that serves Kenya and East Africa and the Hotel Aturkan-Kitale. 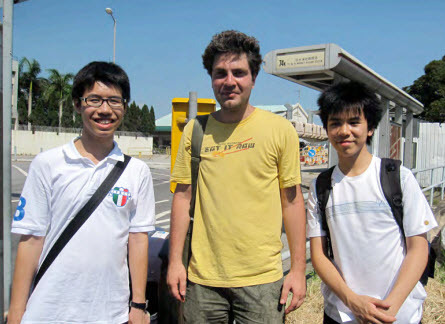 “Our study established that … the availability and accessibility of fast and continuous internet/WIFI connections determines choices made on where to stay, work and have fun while on a business trip.” Interviews conducted by the students also showed that “ all agreed on security, cleanliness of food, water, rooms, environment and efficiency” were both required and expected. The students investigated what Moscow has to offer bleisure travelers. 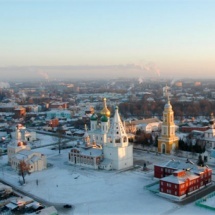 The city, the biggest destination in Russia for tourists, hosts about 5,000 events in a typical year. Visitors have 400 museums to choose from, as well as 170 theaters, stadiums, and other venues. The students decided that these travelers are a good market for a company that serves them well. In 2016 17.5 million people visited Russia, of which 28 percent come for business reasons. However, the concept of bleisure is not well known in Russia, according to the students’ research, and has great potential. 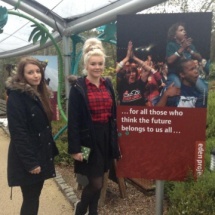 Visitors interviewed by the students liked the idea of extending visits to include leisure activities. 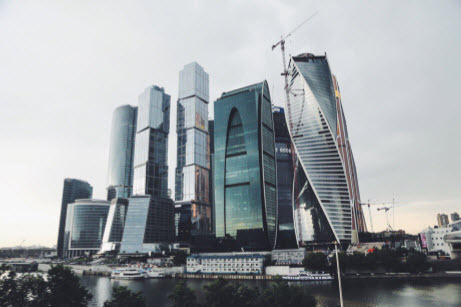 The students propose creating the “Moscow Bleisure Agency” or MBA that would navigate visitors through the overwhelming number of choices that Moscow offers visitors. Clients would have highly personalized, individual programs, including pet care, created for them based on what clients tell MBA. The students would create an app to support client activities with a virtual assistant called “Anna.” The students are realistic about the amount of financial backing MBA would need, but believe that the bleisure market is an important one. 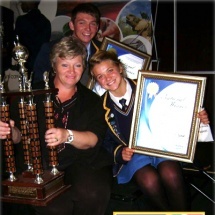 Kirkwood, the students’ hometown, is one of a string of six small towns and villages located in the scenic Sundays River Valley of South Africa’s Eastern Cape Province. The town itself is on the river, and is surrounded on three sides by citrus fields. The Valley produces 20 million cartons of fruit each year. Not surprisingly, citrus is the reason most business travelers come to the area. There is already a well-developed tourist industry. People on vacation come to enjoy an extensive menu of things to do, much of it outdoors. An important area asset is Addo Elephant National Park. 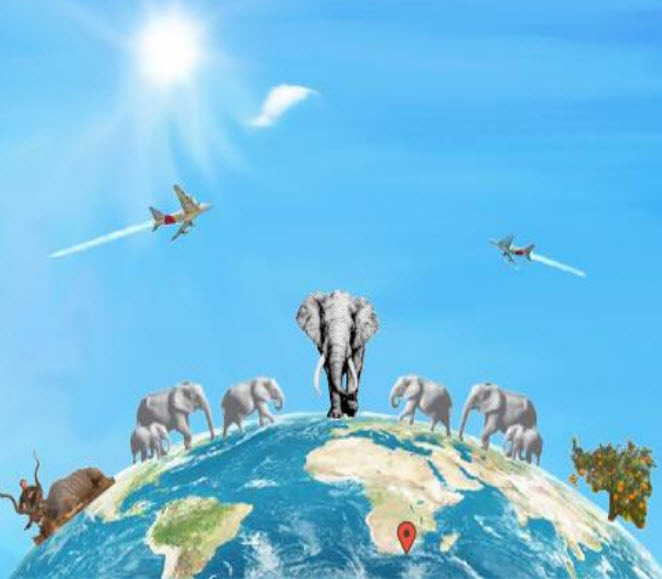 The park is big enough to include conservation of land animals such as elephant, buffalo, lion, rhino, leopard and also ocean dwellers such as the great white shark and southern right whale. The Sundays River itself is an attraction for visitors who want to take boats out on the water or explore by canoe. Accommodation is also well-developed, ranging from camping sites to boutique hotels and guest houses with spas and restaurants, and conference facilities. The students investigate the ways the area can convert business visitors into bleisure visitors, and make recommendations. If you are on a business trip to Dar es Salaam, want to see the county’s famous wildlife and do not have much time to spare, where do you go? 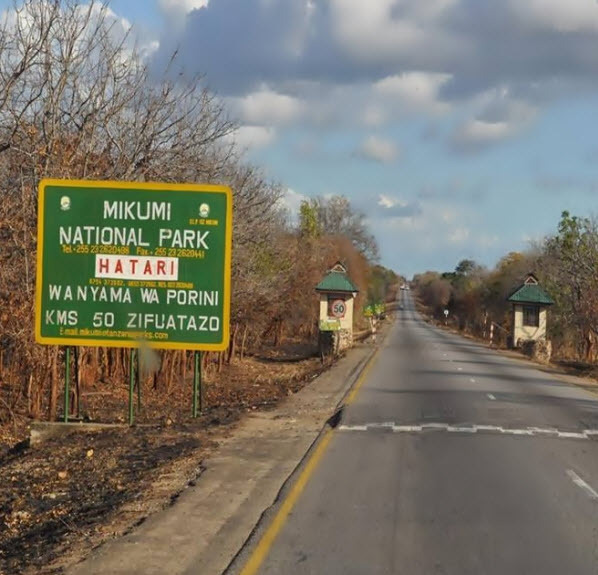 One solution, report the students, is to drive 283 kilometers (176 miles) to Mikumi National Park and spend a day or two there, as many visitors have found. Mikumi is one of the largest of the country’s 16 national parks. 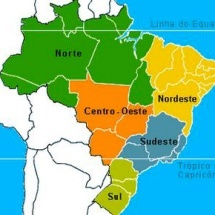 Its 3,230 sq.km. (1,247 sq. miles) are home to “ elephants, giraffes, hippos, elands, great kudu, sable and more than 400 bird species,” report the students. There are one and two-day safari trip available. Accommodations include tented safari camps. Bleisure is alive and well at Mikumi; about 40 percent of visitors are business people and 25 percent are educators or academics, report the students. The park also attracts conferences: they account for another 25 percent of visitors. Managing a big park like Mikumi in a sustainable way involves many interested groups, including tour guides, tourists, park management and the surrounding communities. “The people living around the park participate in conserving the animals and the environment as part of Community Based Conservation,” report the students. The students explore “how Indigenous celebrations such as Pow Wows can influence growth in heritage tourism” and whether “we can provide a sustainable world tourism attraction celebrating our First Nation’s heritage through cultural events.” Pow Wow activities include traditional dance events, music, wearing regalia, competitions, and the sale of food and crafts. The province of Manitoba is home to five Indigenous linguistic groups: Cree, Dakota, Dene, Ojibway and Oji-Cree, also referred to as members of the First Nations. Winnipeg, the provincial capital, has the largest Indigenous population of any city in Canada, report the students. That makes the Winnipeg area a natural center for many varieties of Pow Wow. The students conclude that Pow Wow offer both an opportunity to explain First Nations’ culture and to attract visitors. China’s eroded formations of red sandstone and conglomerate figure in Chinese art, history, culture and science. 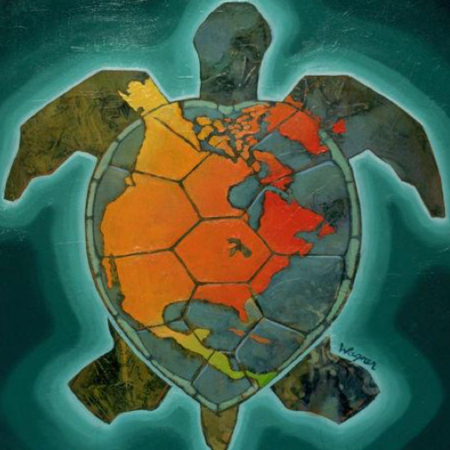 Their images are known worldwide. Not surprisingly, examples of these landforms found in six Chinese provinces were added to the list of World Heritage sites in 2010. 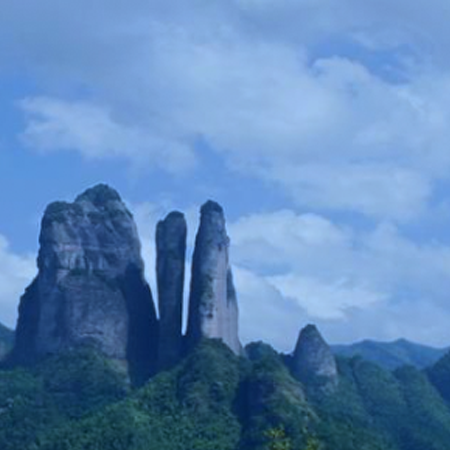 The students focus on the example found in Zhejiang Province: Jianglangshan Mountain. Caves, waterfalls, forest, ponds, and springs can be found on the slopes of the mountain’s three peaks. In the first five years since its designation as a World Heritage site, the number of visitors to the area doubled to more than 10 million. The students examine how this growth can be managed to achieve sustainable development. The students examine “how different stakeholders develop Ping Shan Heritage Trail to be a sustainable traditional Chinese heritage attraction in a modern Asia’s World Metropolis—Hong Kong.” For a 1,000 years the village of Ping Shan and its surrounding communities has the center of the world of the Tang Clan, one of the “Great Five Clans” of Hong Kong. 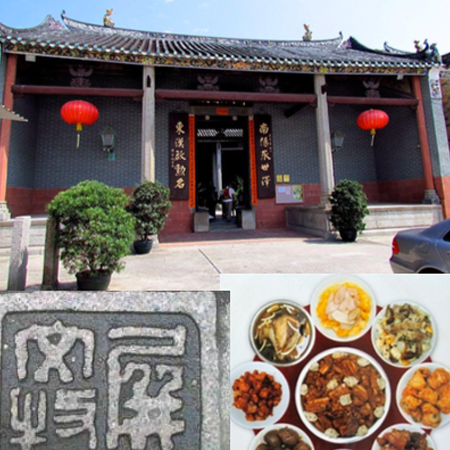 The trail links walled Tang villages, shrines, ancestral halls, temples, study halls and Hong Kong’s only ancient pagoda. 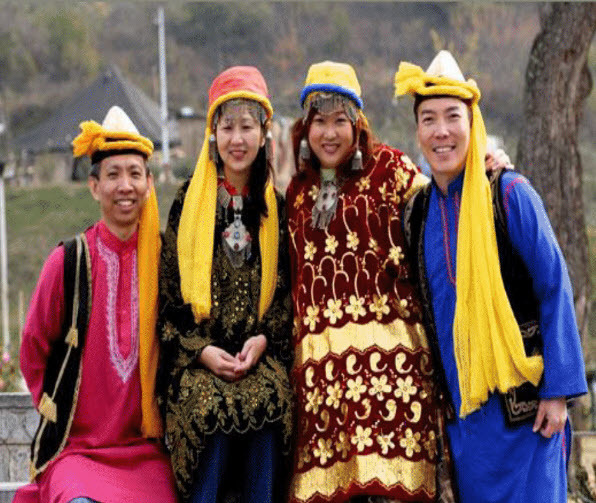 “The Ping Shan Tang Clan maintain certain traditional ceremonial customs to this day. The students also report on the challenges and opportunities facing the Trail today in a major global metropolis. Over the centuries, starting in the year 996, the massive religious complex that sits today on the little hill in western Hungary has expanded in size, mirroring the life and times of Hungary, good and bad. This is the Benedictine Abbey of Pannonhalma. 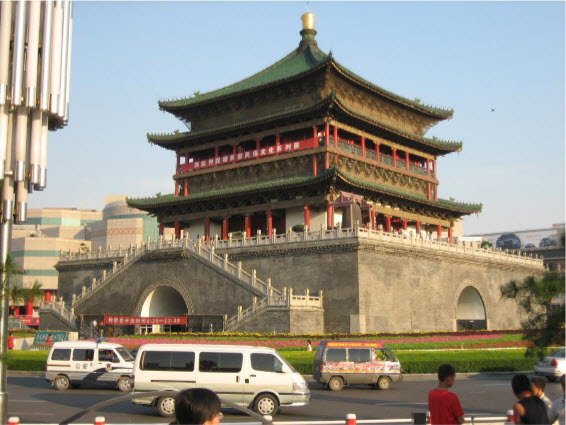 Its buildings reflect architectural styles dating back to the year 1224. The GTTP students share with us their experience of walking through the complex and its the basilica or church; its two ornate gates; the cloister or covered walkway of its monastery; the library of more than 400,000 books and archives, including the oldest document written in Hungarian. 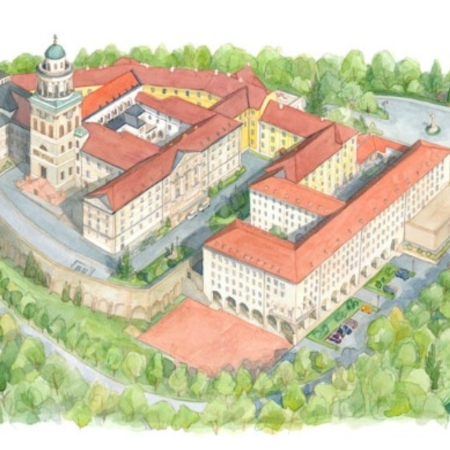 The complex includes a boarding school for boys that has roots going back to the 13th century. Later additions include a herb garden and arboretum, teahouse, a workshop that makes herbal products, and the Abbey Viator Restaurant. The Abbey is an important part of Hungary’s heritage, and the students want you to visit. 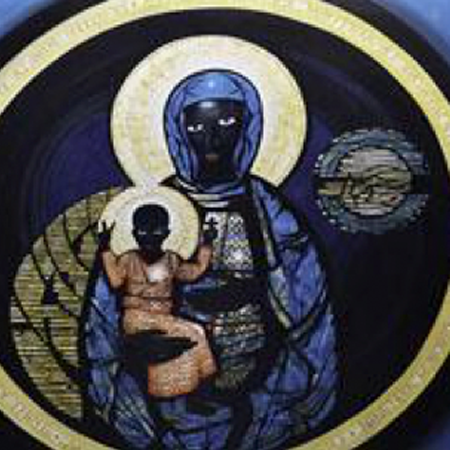 Sometime between the year 1080 and 1130 people built the small city of Gede on Kenya’s coast. In the mid-1600s the site was abandoned. Left behind were were mysteries for the archeologists to puzzle over: substantial stone building, coins from China, glass beads made in Venice, Italy, and ceramics from the Middle East and Asia. 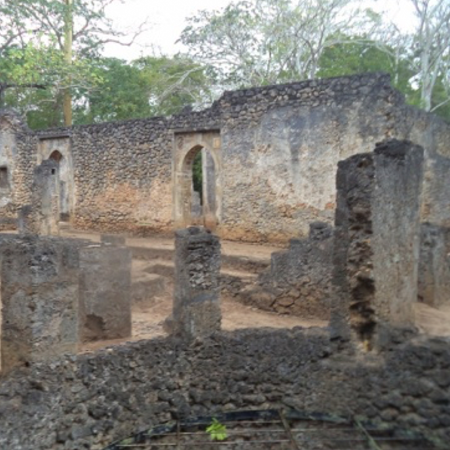 The students explore Gede, which they note was just one of many trading towns that were established on the coast to link Kenya to a wider world. They examine the reasons that might have led to the abandonment of Gede. And they offer practical suggestions for improving Gede’s role as an important part of Kenya’s heritage, starting with a better road to the site. This multi-layered research report starts with a panoramic and useful review of all the heritage sites that make the South Urals and the Chelyabinsk Regions such an interesting area to visit if you are a scientist, UFOlogist or tourist. 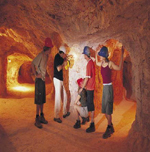 In the next layer the students suggest that many people enjoy having a “quest” when they go on vacation. 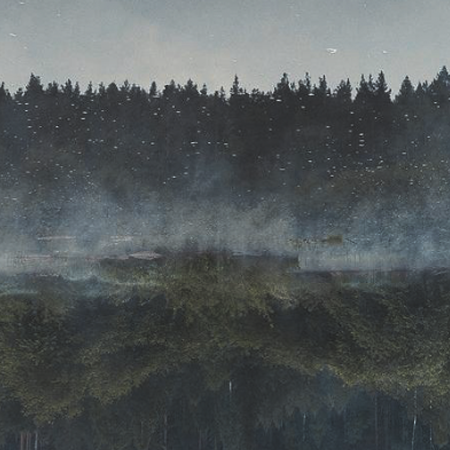 They examine a sample heritage quest they have created: exploring the mysteries of Shaitanka Lake, the deepest lake in the region: it is at least 200 meters deep, and maybe has more than one bottom, and possibly is home to a monster, if you believe local inhabitants. The final layers examine in detail the economics of creating heritage “quest tours” in the region, using Shaitan Lake as an example. “Soweto” is the acronym for the “South West Townships” that spread across five former farms in the Johannesburg area. The arc of Soweto’s story starts with the forced evacuation in 1904 of black Africans from their informal communities to a camp at a municipal sewage farm and continues through decades of growth with few municipal services provided. The story has not ended yet. 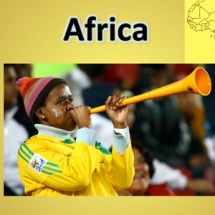 It continues with a Soweto that is today home to 2 million people. They live in a mixture of the old Soweto and the Soweto of new expensive homes, restaurants and clubs, a world-class soccer stadium, Maponya Mall, and now a Heritage Trail. The Trail tracks important events in the history of South Africa when by law black Africans and white Africans had to live apart: the period of “Apartheid.” This hopeful report is a useful resource and guide. Huihang Ancient Road is one of three routes crossing the Eurasian landmass that connected China in the east and Europe in the west for many hundreds of years. 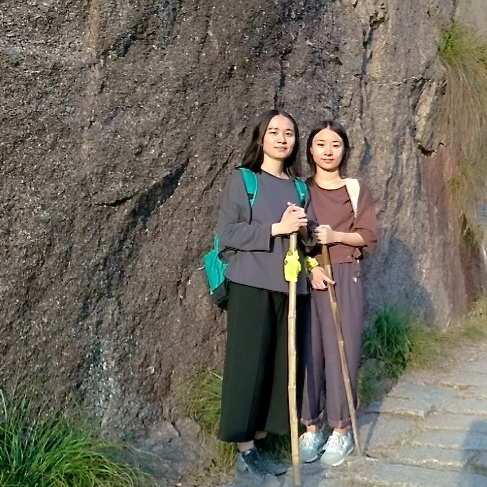 Today the scenic eastern end in Anhui Province exists as “the well-developed and most popular hiking route in Southeast China,” said the students. Today the Road sees some 1 million visitors a year, and all indications are that the Road and the Preserve in which it is located are going to see many more visitors. Is the Road ready? The students decided to analyze the strengths/weaknesses/opportunities/Challenges (S.W.O.T) facing the Road and its communities and service businesses. Carrying their tent, sleeping bags, backpacks, food and water, and other items, the students spent two days exploring today’s Ancient Road in order to produce their case study. 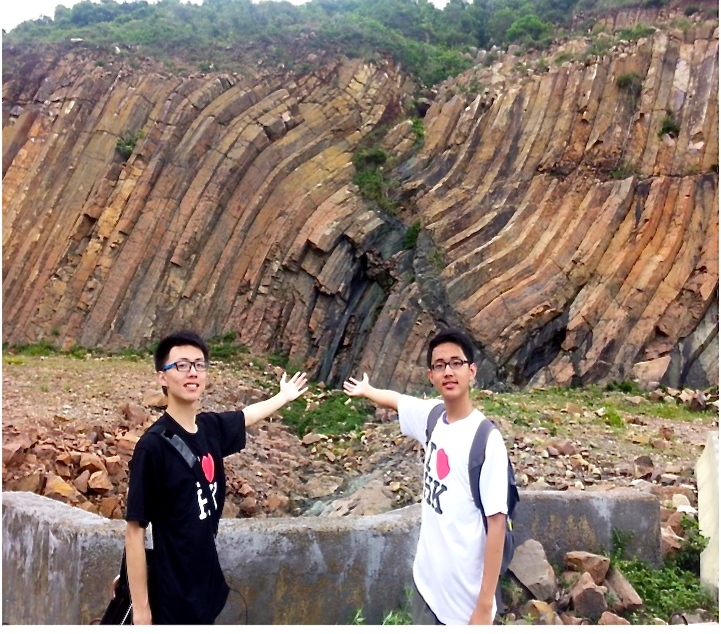 Eight “geo-areas” comprise the HK Global Geopark and between them they serve as a handy introduction to geology. 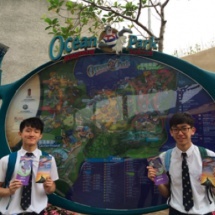 As the students note, the parks showcase Hong Kong’s “timeless and eerily beautiful landforms” as well its flora and fauna. Be prepared for hiking and boat tours to enjoy them all. The Mátra is a mountainous area in northern Hungary that is part of an old volcanic zone. It is also home to the Mátra Nature Protection Area, which bans many activities, including collecting plants and geological specimens, and protects wildlife. People touring on bikes have to follow dedicated routes. No machines powered by gasoline or diesel are allowed, nor are information signs on trees. The number of visitors to the Nature Protection Area are controlled. In spite of all the controls, the Mátra is also home to the High-Tech Sports Base at Mátrafüred. The company obtained a permit to operate in 2010. 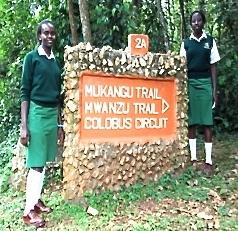 How the company uses technology to comply with the requirements of the Protected Area is the story the students report. The students are intrigued by paragliding, a sport that is growing in popularity in Jamaica. 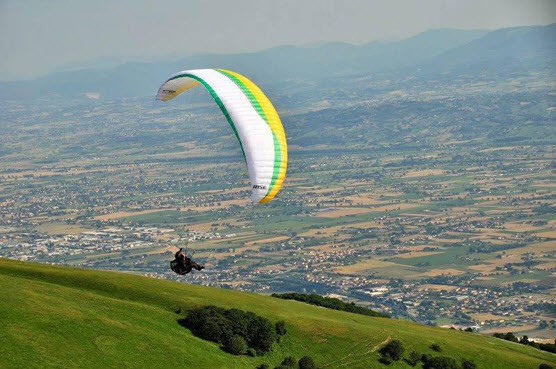 It’s fun and sustainable since paragliding is both kind to the environment and does not consume much in the way of resources. A paragliding enthusiast needs a fabric wing and a steep hillside slope to launch from, preferably with a nice view. Jamaica has plenty of those. An added attraction, report the students, is that most of Jamaica’s competitors in the Caribbean do not offer the sport to their visitors. 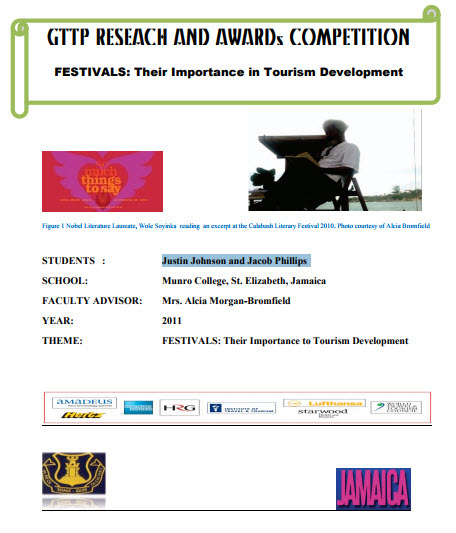 The students report on this niche sport and its potential to help diversify what Jamaica offers visitors. Kakamega Tropical Rainforest is the largest Kenyan remnant of a forest that stretched across Africa to the Atlantic Ocean. It is home to 488 bird species, 46 of which are only found in the Kakamega forest; 36 snake species; 21 lizard species; 487 species of butterflies; animals ranging from the Clawless Otter to the Giant Water Shrew. There are any number of massive trees, some over 300 years old, and waterfalls. The problem facing the survival of the forest is that people need work and they need food. “The people living around it depend on it for timber, fuel wood, herbal medicine, building materials and food,” report the students. “Kakamega Forest, being a biological system, has to remain diverse and productive indefinitely.” They explore what needs to be done. The students started thinking how Accessible Adventure Tourism could work for people with health limitations or disabilities in their hometown, Tver. Tver is a 12th century city town with 18th and 19th century architecture, located between Moscow and St. Petersburg on the Volga river. Instead of just thinking about it the students created the Accessible Adventure Cycling Tour, an enterprise with real customers. Creating the business required initial surveys, market research, promotion, an action plan, training, creative itineraries, and activities. And then there was equipment to adapt: bicycles, tricycles and wheelchairs. Customers of course need to be trained. The students were helped by school friends, teachers and their school’s administrators. Also “we were really lucky with enthusiastic response from the city administration, travel & tourism businesses, medical and social care institutions and NGOs who were eager to help us,” the students report. They can handle 10-15 riders per tour. Their customers write rave reviews about the tour. 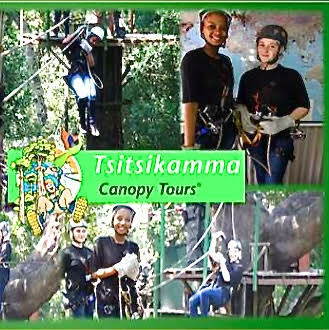 The students examine Storms River Adventures, a well-established firm located in Tsitsikamma in the Eastern Cape Province, to see how it deals with the three potential threats. They examine the ways the company achieves its environmental objectives that include protecting water sources, reducing its carbon footprint and protecting 300-year old trees. Social responsibility activities range from providing free meals for young children who need them to sponsoring veterinary clinics. Examined are: “Go Ape,” one of the UK’s fastest-growing outdoor adventure tourist parks, with 54 sites nationwide; “Wilderness Scotland, winners of two awards; “Nevis Range,” a government-run organization, and “ Haggis Adventures,” a family-run organization. 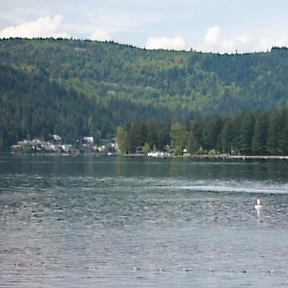 The students explored Pure Life Paddle Boards, a business in Chilliwack, British Columbia, to see how its owner, Ken Larsen, works to achieve social, environmental and economic sustainability, also known as The 3 Pillars of Sustainability. He works hard. This is a classic example of looking at big goals through the lens of a small company that practices what others preach. 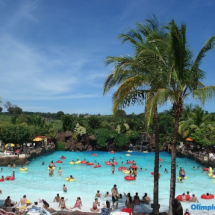 Olímpia, population 54,000 is home to a gigantic waterpark. On a typical day, so many visitors arrive that the town’s population almost doubles. However, the region faces a severe drought. Fortunately, waterparks recycle water. One challenge is to reduce visitor water consumption in the town’s hotels, most of which are small or B&Bs. “The use of simple and very cheap technology can help small hotels save water and reduce energy consumption,” the team reported. ”Simple actions can generate great changes.” The team shows how. The Frontenac Arch Biosphere Reserve is a150, 000 hectares (almost 600 square miles) preserve adjacent to the Province of Ontario’s Thousand Islands region. Designated a Biosphere in 2002 by UNESCO, the preserve uses its surroundings as a living laboratory to test and demonstrate the management of land, water and biodiversity. It has three goals: first, provide support for research; secondly, contribute to conservation; third, foster sustainable economic and human development. It is a complicated and challenging task. The team shows why. The team, one member of which had had vacation job with a famous hotel chain, investigated the application of digital and other technology to achieve sustainability goals at hotels in Hangzhou and Qingdao. 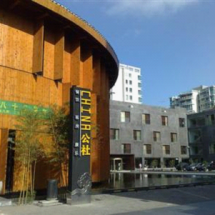 One hotel is China’s first “smart hotel.” The technology used touches architectural design and local culture; the guest experience; staff efficiency; food and beverage management; water and energy conservation; solid waste management; expense management, and competitive advantage. Ocean Park Hong Kong combines an amusement park and its 80 or attractions with a marine animal park, a theme park with animals, and an oceanarium. In 2013 more than 7 million people poured into the park’s 226 acres (91.5 hectares). The students examine technology that improves the visitor experience and improves the way the park manages energy consumption. They also offer suggestions. Visitors come to Sárvár, a pleasant town of about 16,000 people, to visit its spa, castle, churches, arboretum, park and lake. The student team decided to research how smart phones and QR codes are used to market Sárvár’s attractions. Among other things, the team provides a comprehensive briefing on how QR codes work and how useful they are. The team determined that Sárvár and its visitors would benefit from greater use of this technology. Travelers today, report the team, can “take a tour of a city without a tour guide, book a flight with a booking desk, and tell tales of exotic locations without opening their mouths.” This is Ireland in the Age of the App, the mobile digital applications that make smart phones and other mobile devices smart. The team takes us on a tour of Ireland, show us how apps are changing travel and tourism. 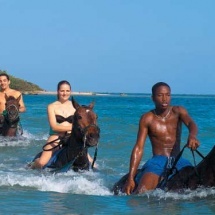 The team explored the operations of Chukka Caribbean Adventures, which offers “natural adventures and excursions” ranging from riding horses along the beach to tubing and zip-line rides. Five hundred of the company’s 700 or so employees are in Jamaica. The team reported that the company uses technology to manage water conservation, energy use and waste control. The team noted that the company invests in employee training, hires locally and works with local suppliers. “Transformative technology” is an overused term, but it fits very precisely Kenya’s M-Pesa money transfer service that makes it possible for people without bank accounts or easy access to banks to transfer money and pay for goods and services. It is operated by Safaricom, a mobile phone service provider. Almost half the population of Kenya uses M-Pesa. The students tells us about the impact M-Pesa has had on Kenya’s economy. 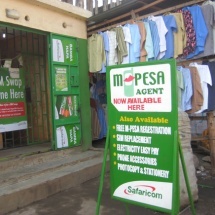 The “M” in M-Pesa , by the way, stands for “Mobile” and “Pesa” means “money” in Swahili. The students came up with the idea of creating a “mash up” or linking together the capabilities of a tablet computer and a Google Glass wearable computer. Tourists could use the mash up to plan their day, including where to visit and where to eat, then use the Google Glass as a personal tour guide as the explore wherever they are. Their case study comes complete with a Strengths-Weaknesses-Opportunities-Threats (S.W.O.T) analysis and a discussion of how to finance the development of their idea. 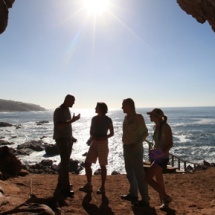 The cliffs of South Africa’s Mossel Bay are home to caves containing stone age technology dating back 170,000 years and human remains from 100,000 years. At the top of the cliffs and stretching back inland is technology dating 8 years: this is where Pinnacle Point Beach and Golf Resort, opened in 2006, is located. 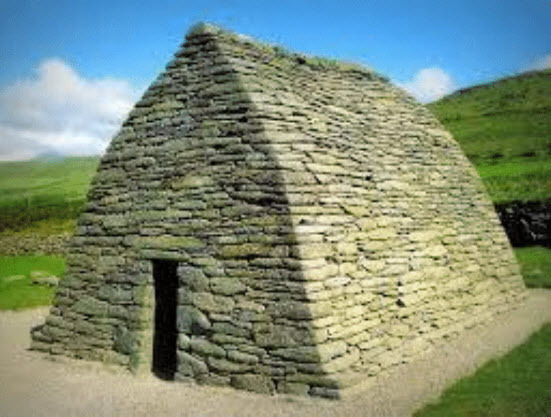 The students examine how modern technology can help preserve the stone age technology for scholars and allow the resort to co-exist with this important archaeological site. “Our research was focused on exploring the relationship between sustainable tourism and how technology supports it,” wrote the team. The team also wanted to understand how the how the visitor experience was improved. Four local businesses were examined. They ranged from a hotel to a maker of sea salt. One conclusion reached: technology today moves so quickly it outstrips some businesses’ ability to understand how new developments can help them survive. Surrounding the town of Itu are many traditional coffee plantations whose owners have ignored the temptation to sell their properties for housing developments or other urban necessities. These plantations are attractive destinations, and the students set out to find out “Why do the historic farms receive so few tourists?” This is their report. 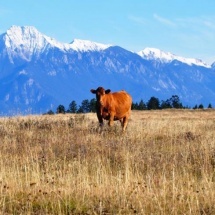 The Upper Columbia Valley of British Columbia has all the ingredients needed to create a culinary destination for visitors. Nevertheless “there is a void of culinary tourism opportunities.” The students report on what needs to be done to fix the problem and better serve the area’s already sizeable tourist industry. In Hangzhou, famous for its cuisine, people like to go out into the countryside and blend together a relaxing mix of activities that includes visits to tea plantations, villages and their tea houses, local farm food, ceremonial tea preparation and nature walks. The students explore this “tea culture” and its appeal to both domestic and international visitors. There are more than 200 vegetarian restaurants in Hong Kong, and the students report on the wide variety of menu choices now available to visitors. 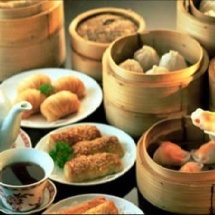 The team believes that interest in vegetarian cuisine is growing rapidly and that this interest could be harnessed to attract more visitors to Hong Kong. Kenya’s traditional cuisine includes such dishes as ugali, githeri, seveve, mursik , matumba, and nyama choma. 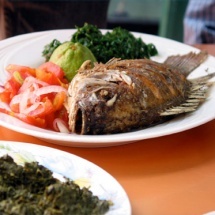 These are some of the dishes enjoyed by Kenya 42 ethnic groups. 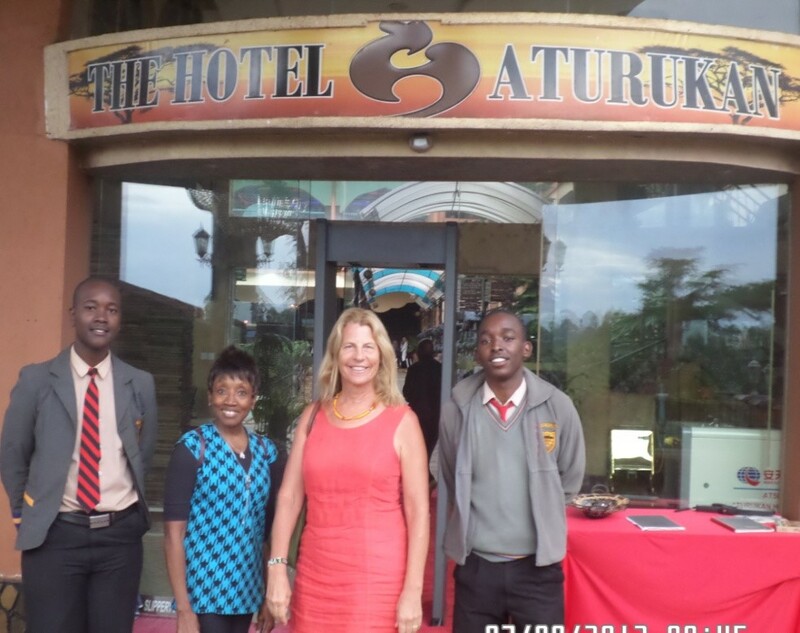 “When one tours Kenya a sumptuous culinary experience is always there,” report the students. 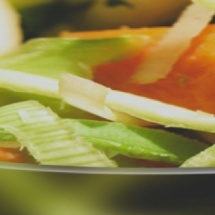 They describe the dishes, include recipes and recommend places to sample them. In 2008 two determined ladies of Kolomna, Natalia Nikitina and Elena Dmitrieva, set out to restore the authentic manufacture of the apple-based delicacy called pastila for which the town was once known. With recipes dating back to the 14th century, pastila takes two days to make by hand. The team examines how the resurrection was accomplished, its associated activities, its impact and its future. The San people of the Kalahari have lived in Southern Africa for some 20,000 years. They are hunter-gatherers and one of their favorite foods is !Nabas or Teresa pfeilii in Latin, a distant relative of that gourmet’s delight, the French black truffle. The students tell us about !Nabas, how they are found and cooked and how they are used as a treat for visitors. Kenya relies on its scenery and abundant and varied wildlife to attract visitors. 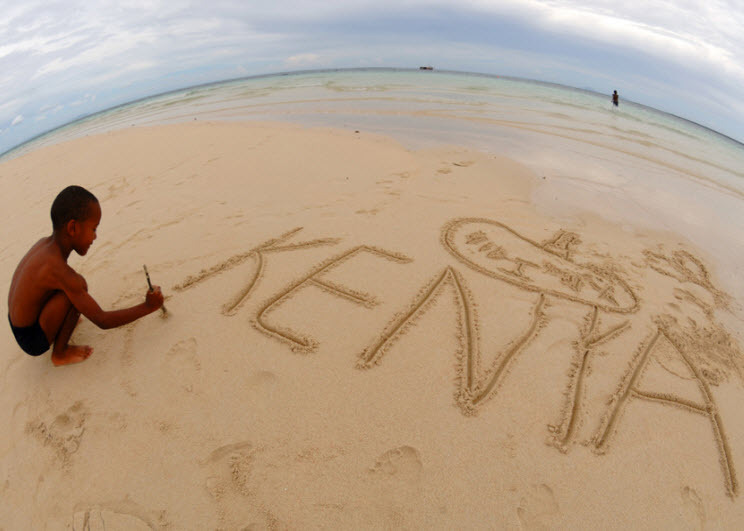 The students believe Kenyan tourism would benefit by expanding opportunities for home stays so visitors can experience Kenyan cultures more directly. They examine the positives and negatives of home stays in the Masai and Luo communities and suggest how to improve and expand the home stay experience. 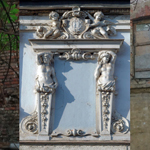 The team believes that Moscow is ready for and innovative boutique hotel, and they have a historic building in mind to rescue for the role, as well as a proposal for history-based room and food themes, starting with a cave room and ending with “the bedroom of the future.” The study comes complete with surveys and a SWOT (Strengths-Weaknesses-Opportunities-Threats) analysis. The students want to create jobs in their district. They suggest offering tours of a closed gold mine and visits to a Tswana village; rehabilitating a riverside recreation area next door to the mine, and adding a wild game farm and conference center. The combination of new activities and facilities should create a new destination for visitors, and jobs. “People with disabilities have the same needs as other tourists, including the need to feel in control of their travel experience,” report the students. Based on their research at two London hotels and a fast-food restaurant, the students have recommendations about training staff in order to improve that travel experience. They also have plans to help make their recommendations a reality. 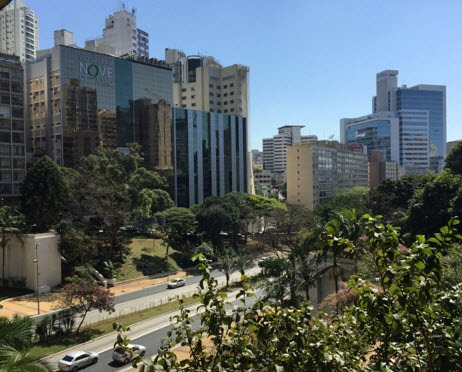 In Sao Paulo, the student team’s hometown, the festival of Carnaval revolves around 95 Samba “Schools” or teams which between them enter over 400,000 dancers, flag carriers, drummers, float riders to perform in the event. Then there are the hundreds of thousands volunteers who help each School with their time, effort and money. The Schools also function as self-help organizations, reported the students, and offer after-school activities and classes, all of which help maintain volunteers’ involvement in their School. The Province of Manitoba is home to more than 200 festivals each year. The festivals are made possible by the efforts of some 30,000 volunteers from the province’s population of 1.2 million. One, called Folklorama, lasts two weeks, occupies venues across the city of Winnipeg and needs 20,000 volunteers to make it work. 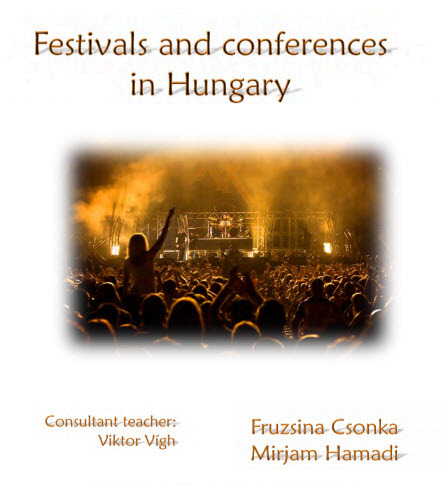 The students examined the challenges facing festival organizers and have assembled an excellent and practical checklist for recruiting volunteers and keeping them involved. They also have recommendations for working around “toxic volunteers” who are impediments to a festival’s success. 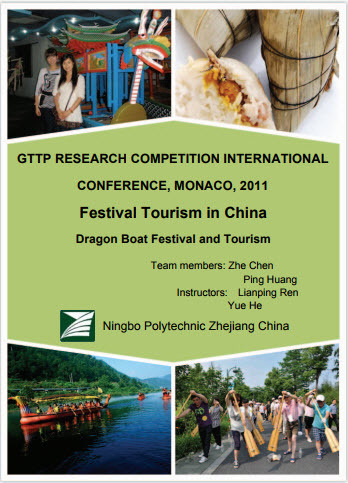 The research team examined China’s experience of festival tourism by exploring local versions of the Dragon Boat Festival, a nationwide holiday. Interest in local versions of the festival – and others – is accelerating in China as more Chinese citizens go on vacation and explore their country and its cultures. This interest is leading local governments to take steps to encourage festival-based tourism in their areas with more advertising and improved facilities to accommodate the growing numbers of visitors. Hong Kong celebrates its own special festivals; it also celebrates festivals that it shares with the rest of China, as well as festivals imported from Britain when Hong Kong was a British colony. Team members reviewed all three varieties and then focused on the Good Luck Festival as it is celebrated in Sha Tin, their neighborhood, and its Che Kung Temple. The team made suggestions to make visiting the Temple and the Festival easier and more rewarding for visitors. 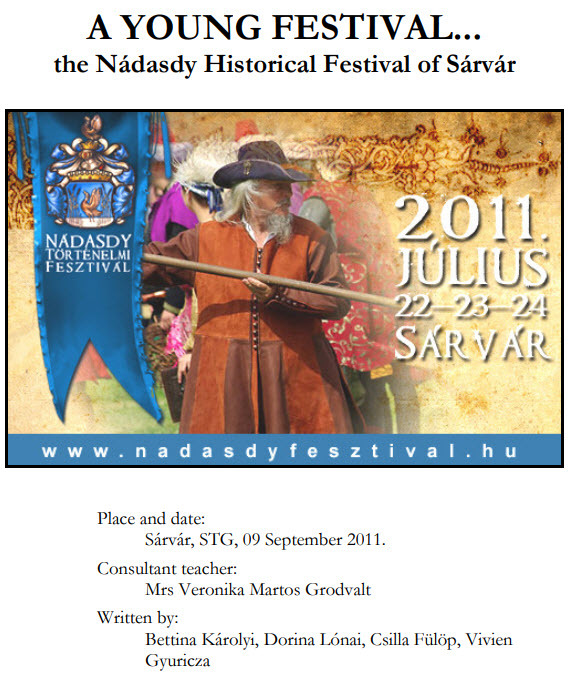 The Nadasdy Historical Festival in Sarvar was established in 2009 by a group of friends who made up for their lack of experience with hard work and lots of enthusiasm. The Festival has been successful but is still a work in progress, according to the team, one of whose members helped start the Festival. The team tells the story of how the Festival was created, and how it is evolving with new events, new supporters, new ideas, and how the organizers are dealing with the inevitable challenges. 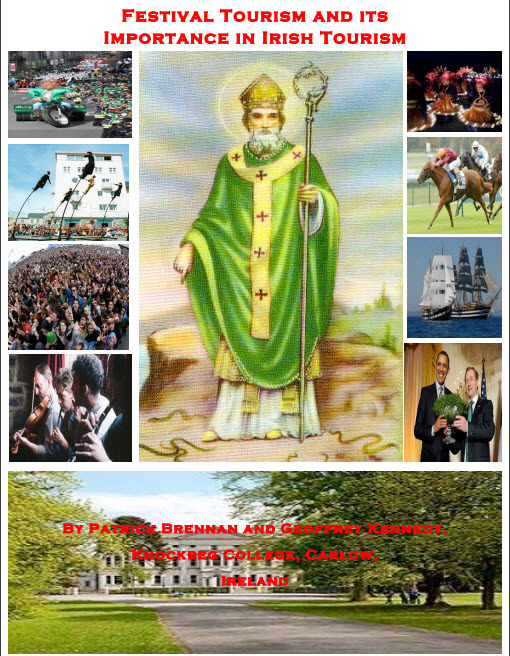 The team reviewed a sampling of 19 festivals that range from ones that started as national in scope but have become international celebrations (think St. Patrick’s Day) or are very local such The Puck Fair, which celebrates an historical event. 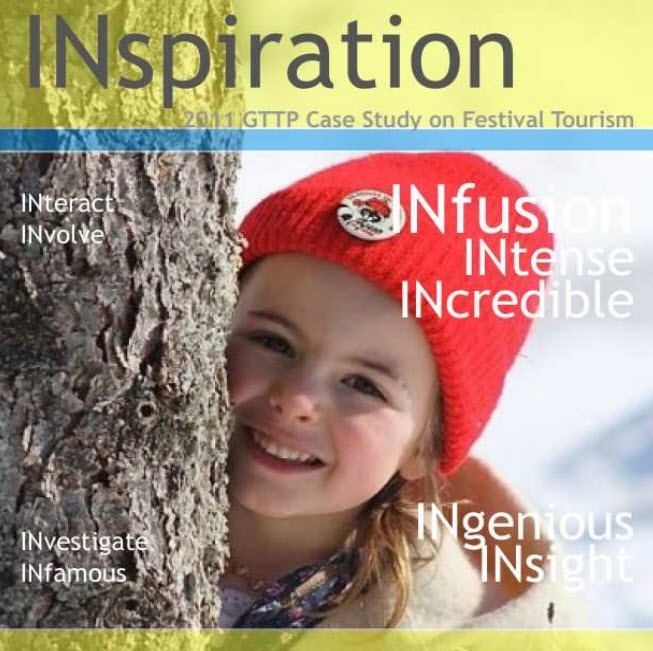 While providing a useful guide to anyone planning a trip to the island, the team also shows us how festivals have become a mighty engine of growth for Irish tourism, and describe the strategic steps being taken to encourage the festival industry. Jamaica’s Calabash Literary Festival was an ornament of the country’s cultural scene for 10 years, bringing in writers from around the world until it ran out of funding. The team used SWOT analysis (“Strengths-Weaknesses-Opportunities-Threats”) to examine the Festival and its demise. The team recommended charging at least a minimal fee to help resolve the funding problem and using social media to publicize the event. Threats to reviving Calabash, which may or may not return, include a new literary festival in Jamaica. The team focused on ceremonies that help define the lives of the Kikuyu, one of Kenya’s 42 ethnic groups. The team would like to see efforts made to educate people on the need to preserve festivals as an important part of Africa’s heritage and culture. The team suggested more efforts be made to publicize festivals locally so local residents can appreciate them and also to attract visitors. The team also recommends that infrastructure be improved in order to make festivals more accessible to visitors. 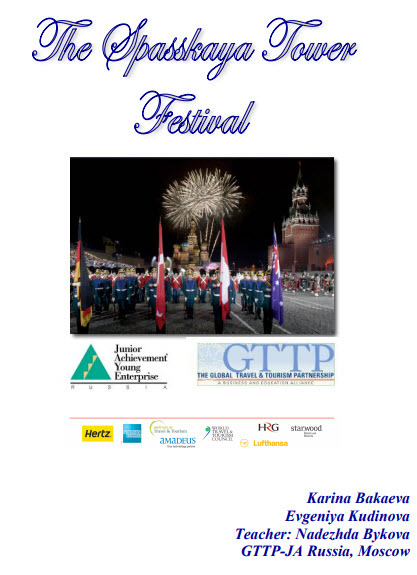 The annual Spasskaya Tower Festival is a rapidly evolving five-day international musical festival held in Moscow’s Red Square and named after a massive Kremlin entry way, the Spasskaya Tower. The initial format was established in 2007, before the festival was expanded and moved to Red Square in 2009. It has attracted military bands from 15 countries, including the U.S, Britain, France, and Australia. Musical offerings include military, classical, pop, and jazz. Performers range from singers to a Swiss drummers corps to dancers from Mexico. The team interviewed attendees, analyzed the festival’s potential and offered suggestions. Limpopo Province’s Marula tree fruit, a cousin of the cashew nut, is used to make cooking oil, skin conditioner, fruit juice, jelly condiments, relishes, snacks, beer and even an after-dinner drink. Marula fruit is the traditional centerpiece of some of the celebrations and festivals of the Tsonga, Venda, Northern Sotho and Zulu peoples. The versatile fruit is now the star of the Province’s Marula Festival, which offers golf, youth rugby and soccer, ethnic games and dances, music, a marathon, cooking competitions, and a fashion show. The team tells us how it all works. The Canada team examines environmentally friendly activities available to visitors around Kingston, a lakeside city in Ontario Province, where green tourism is a marginal component of the area’s tourism industry. The team explored how its share can be increased. 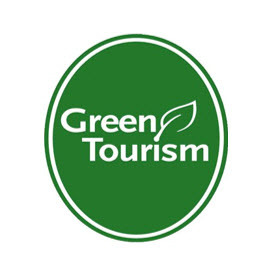 The team met with local political leaders and business people to examine not only the benefits of green tourism, but also its negatives, the challenges the industry faces, and what the future may hold. 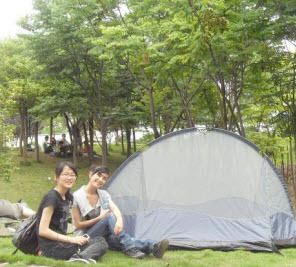 The students chose 6 scenic locations in densely populated, economically developed coastal areas in China – Ningbo, Hangzhou, Shanghai, Beijing and Liaoning, and explored how Green Tourism is being practiced in these popular tourist destinations. 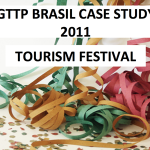 The students report on the practices they saw, and surveyed tourists to understand how visitors perceived green tourism. They also interviewed administrators and business people in the industry, and suggest how environmentally friendly measures could be taken. Tai Po is a densely populated industrial and suburban community. The students explored it to see if the area could be a green tourism destination appealing to our five senses: vision, hearing, smell, taste and touch. The students conducted interviews with both visitors and local people, and also made recommendations ranging from encouraging preservation of traditional life styles to more accommodations for visitors. 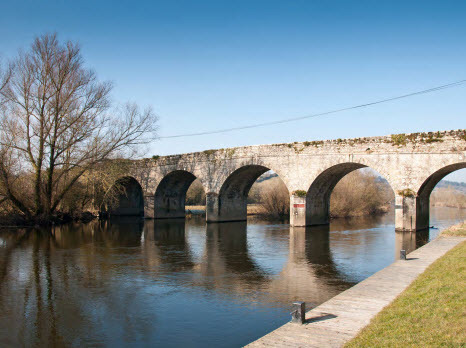 The River Barrow has been many things: a source of food for riverside Stone Age villages, a highway for missionaries 1,400 years ago, and more recently part of a commercial transportation system. Modern freight trucks killed the old barge freight business. Now the river has been embraced by people seeking the green delights the Barrow offers: walking, flora, fauna, fishing, boating.